tons of sun and pale gold sand, with clear blue sea lapping its rocky edges. Its popular beaches offer the chance for some family fun with water sports galore, as well as hidden pine-fringed coves that can only be reached by an intrepid few. Inland, you’ll find plenty of rolling hills and green meadows, dissected by the local speciality: long stretches of dry-stone walls, which attempt to stave off a healthy wind — cyclists have to be very keen (and/or very fit) to tackle this terrain. Menorca has another unusual offering: All over the island, you’ll find prehistoric rocks in various strange forms. Budding ancient historians can arrange to be enlightened by those in the know. 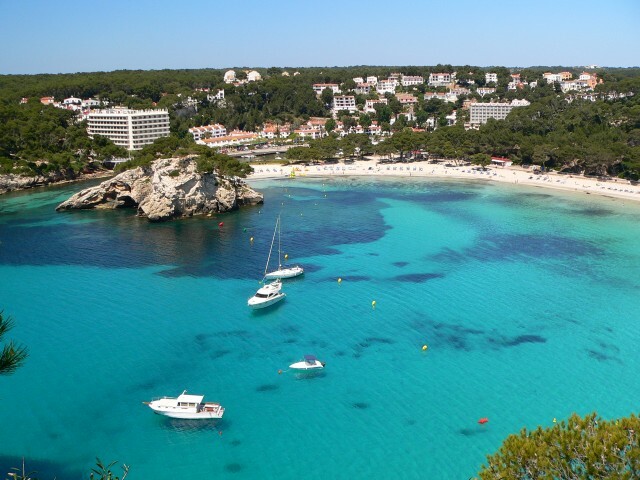 All in all, if it’s relative peace you are after, Menorca is a preferable option to its Balearic siblings, Majorca and Ibiza. 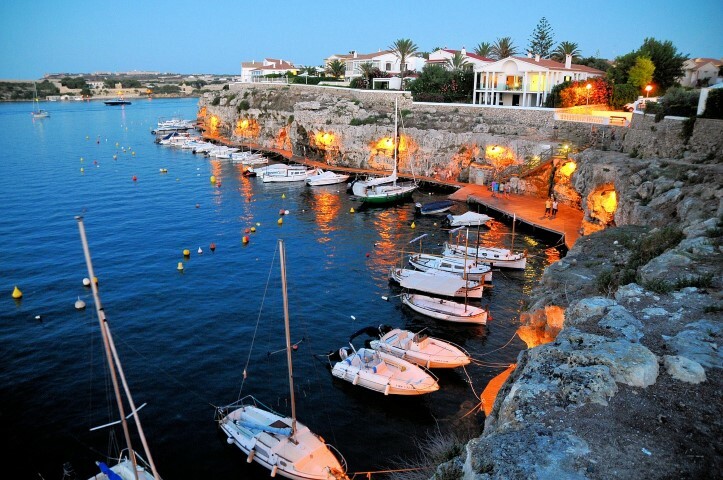 Mahon dominates the east of the island, with a generously carved natural harbour. As the island’s capital and home to its airport, Mahon is likely to be your first port of call. While it’s useful to have your own wheels to make the most of the island, Mahon itself should be explored on foot. Wander around and absorb its rich history, which includes the influence of a brief British occupation that can be seen in the Georgian sash windows. Any stroll should take in the four classic squares (or plazas), the impressive Santa Maria and Sant Francesc churches, and the island’s best museum. Those in need of alcoholic refreshment should sample the local tipple (and export) at the Xoriguer gin distillery near the ferry terminal. And while thinking about your palate, don’t miss out on the local mayonnaise, which was apparently invented in this small fishing town (although be prepared for various versions of the creation story). 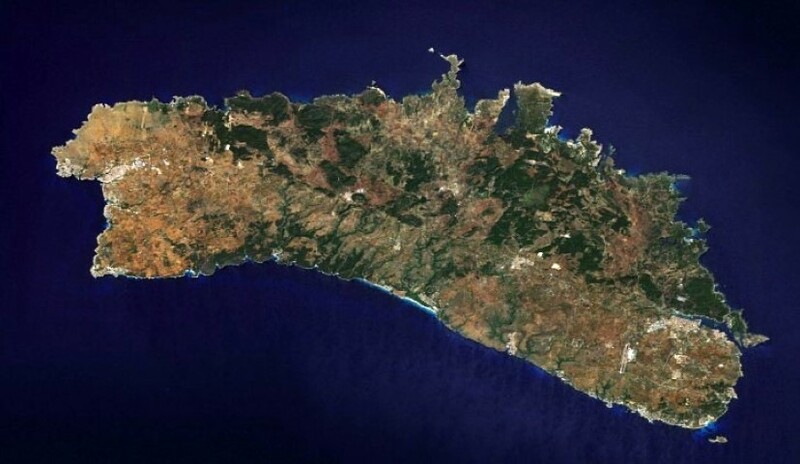 North of Mahon, the road to Fornells passes through some of Menorca’s finest scenery, so take it in at leisure if you can. 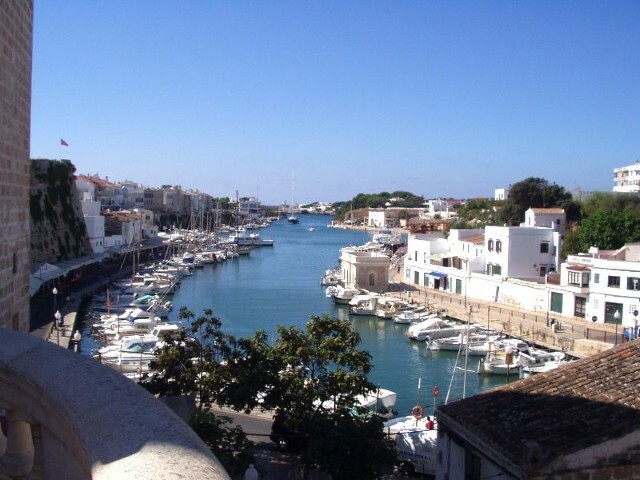 Fornells itself has developed from its fishing village roots to something more like a resort, with slightly disappointing beaches but unbeatable fresh seafood. Go for the caldereta de llagosta (lobster stew) if you feel like splashing out; you’ll be in good company, as King Juan Carlos does the same on his visits to the swankier side of the resort. 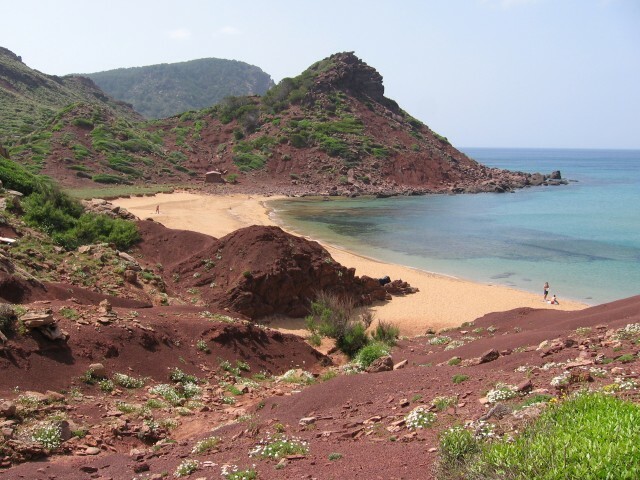 West of Fornells, the coast offers relatively untouched detours, although the flipside of under-development means the roads can be tricky to navigate. On the other side of the island,Ciutadella perches above a harbour and boasts a rich history that dates back to Roman times. 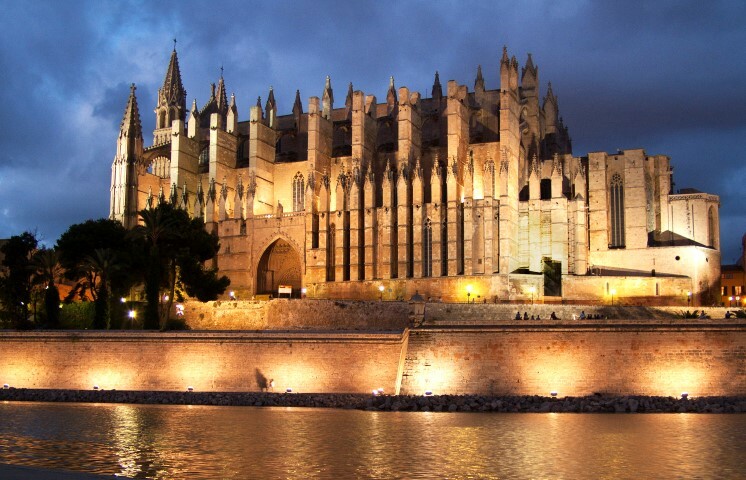 The narrow cobbled streets house majestic palaces as well as some splendid Spanish Baroque and Gothic churches. The cathedral, museum and massive Palau Torresaura are just some of the buildings worth visiting, although simply strolling through the rich architectural surroundings is often entertainment enough. 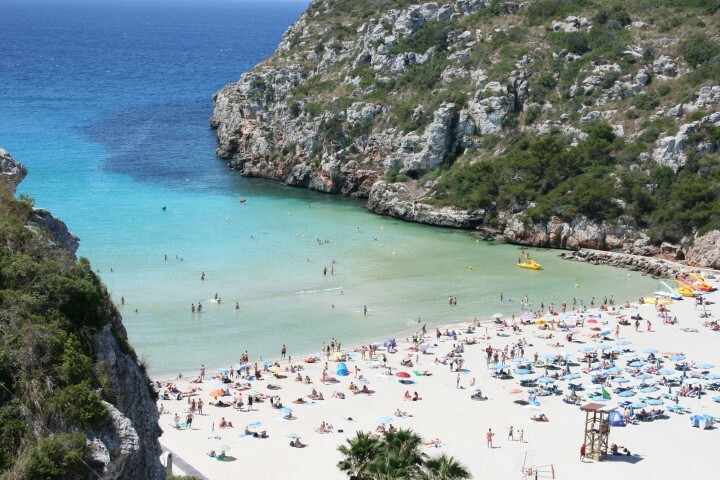 Southeast from Ciutadella lies the best of the local beaches: Cala En Turqueta. Housed in one of the Balearic coves, the wooded limestone cliffs provide a wonderful backdrop to a lazy afternoon’s sun worshipping.